PLE Group will work with you to build a customized alarm system that will fit your needs. PLE takes many factors into consideration when designing custom alarm systems for our clients, including security concerns affecting your industry specifically, customer input, physical/geographical location of the facility, budget etc. 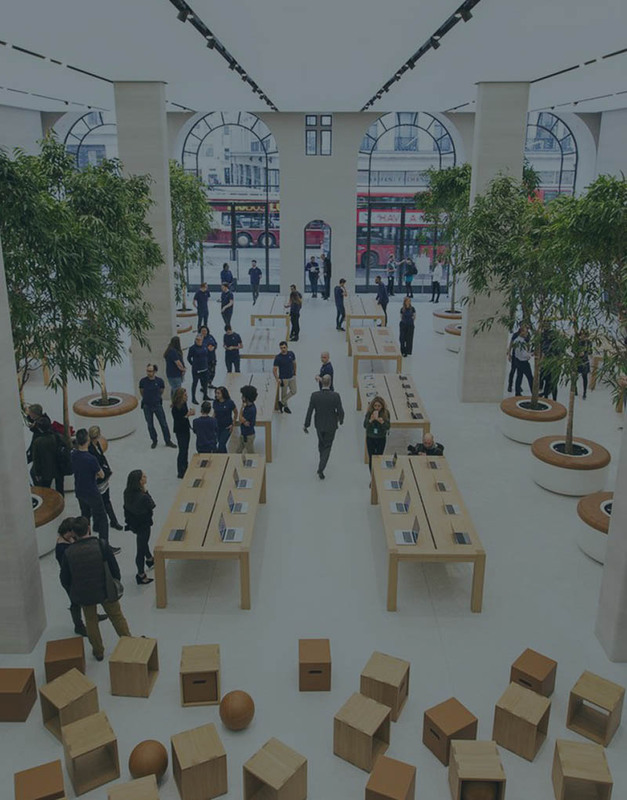 Following the completion of the installation, our customer’s enjoy ongoing over the phone technical support for most issues regarding their systems. On-site service calls are performed by PLE Security technicians and are never subcontracted out. 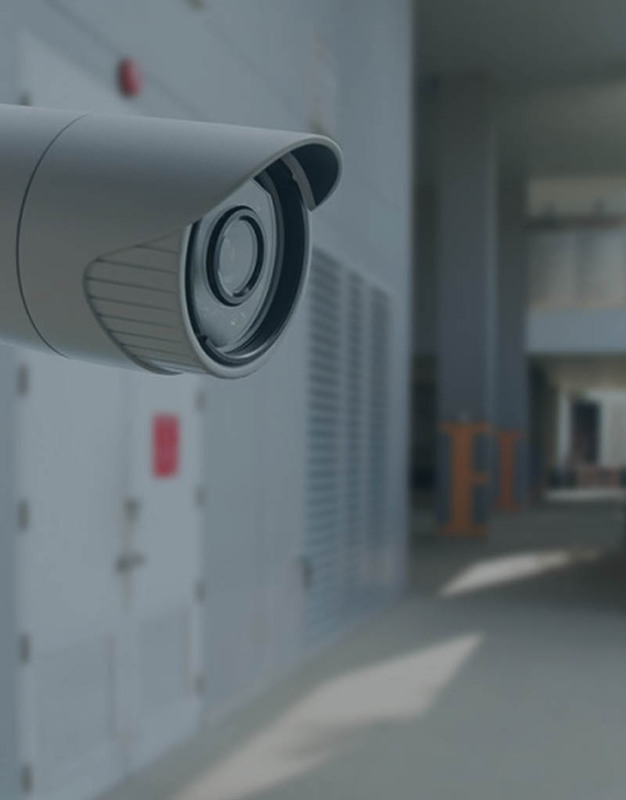 There are many reasons to install a Video Surveillance System in your facility, whether it is to monitor workplace safety, employee compliance, manufacturing process monitoring, etc., PLE Group will design a system that will meet and exceed your needs and expectations. PLE Group can also service existing surveillance systems and can make recommendations on upgrading and replacing outdated or defective components. DVR. Cameras. Power Supplies. Monitors. The Digital Video Recorder (DVR) provides a simple means of storing video from the cameras. Each camera is connected to the DVR with a video cable (Either Coax or Cat5e). The DVR can be remotely viewed when connected to a network switch. DVR’s can support anywhere from 4-32 cameras depending on the model. Storage capacities range from 500GB to 8Tb (External storage can be added to achieve even more space). Security Cameras can be mounted almost anywhere. Some cameras are more versatile than others but no camera is able to cover all scenarios. It is extremely important to select the camera that matches your application. Power Supplies provide power to each camera. A power wire is run from each camera to the power supply and connected to a fused input. Power transformers can also be used to power single cameras in certain situations. Monitor’s are connected to your DVR and show your cameras and the on-screen menus. You can use a normal computer monitor but a security monitor is recommended. Security monitors are typically made to be powered on for longer periods of time and usually carry longer warranties. Security monitors also use a BNC type connector, which allows a monitor to be installed further from the DVR than a VGA monitor (computer monitor). The access controlling your facility provides many advantages over the traditional lock and key methods. 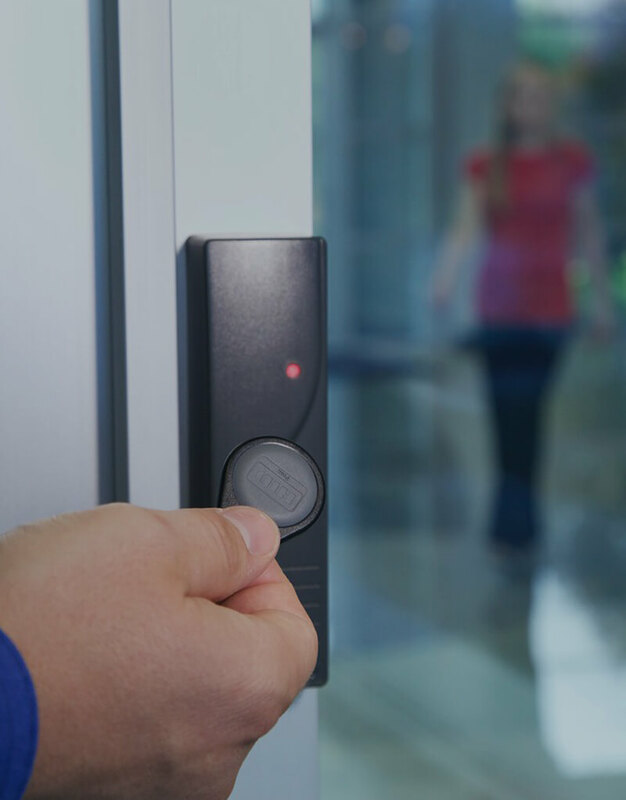 The main advantage of access control is the ability to limit employee access by day, time, and area of your facility whereas traditional door locks allow anyone with a key unrestricted access to your facility at any time. 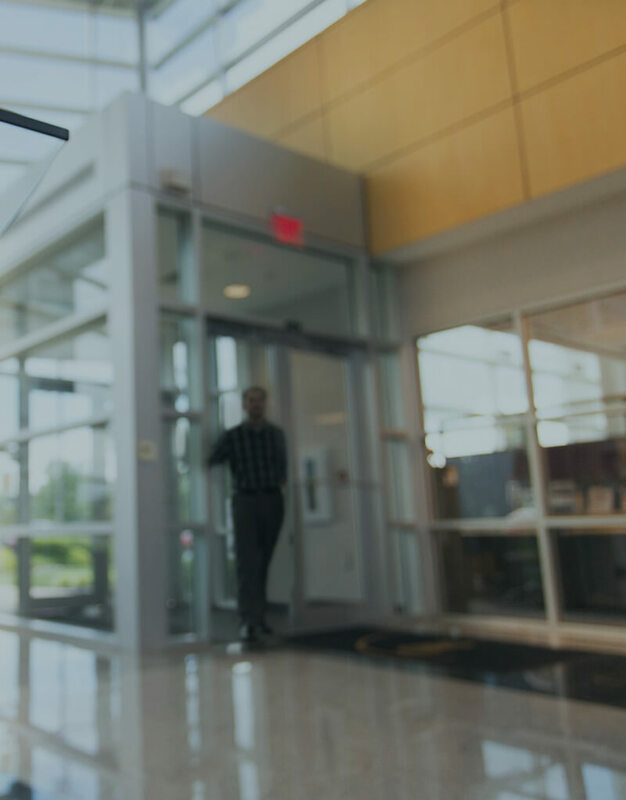 Access control software can make your facility management even more versatile. Access levels can be restricted with a single click of the mouse, reports can be generated that will show who entered your facility, what time they entered, and which door was accessed. Graphical maps of your facility can be accessed with the real-time status of all your access controlled doors as well. 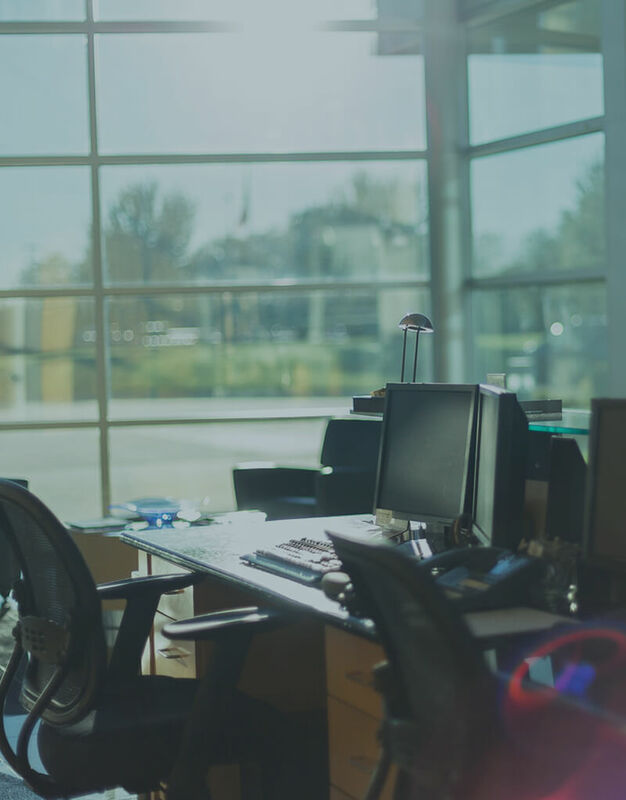 The software integrates access control seamlessly with intrusion detection and fire alarm systems making it a complete security management suite. As a network application, real-time changes can be made to the access rights of any individual from anywhere with an Internet connection. Rather than worry about retrieving keys from discharged employees or re-keying locks, simply delete their access privileges. You can also remotely lock and unlock any protected door. Adding to the benefits of an access control system is the ability to review reports detailing the arrival and departure of each individual. You will know which protected areas they entered. An access control system not only provides added security but also enhances your facility management capabilities. The main component in any access control system is the control panel. It communicates with and manages the various other devices installed throughout the facility. PLE systems include an “integrated” panel that also provides intrusion and fire alarm capabilities, all in a single unit. Each protected door needs to be equipped with an electronic lock that can be remotely controlled. Card readers where users swipe their cards, or proximity devise that users pass their fobs or access cards over. Where users can enter an access code to open a door, and system managers can modify the authority level or system users, as well as perform other programming functions. Motion sensors, buttons or crash bars used to bypass a door or release an electronic lock. In the United States, a structure fire occurs every 65 seconds*.The protection of life is always the number one priority in any commercial fire alarm system design. Early detection and warning are critical to achieving this objective. The second objective of the fire alarm design is the protection of the property in which the system is installed. 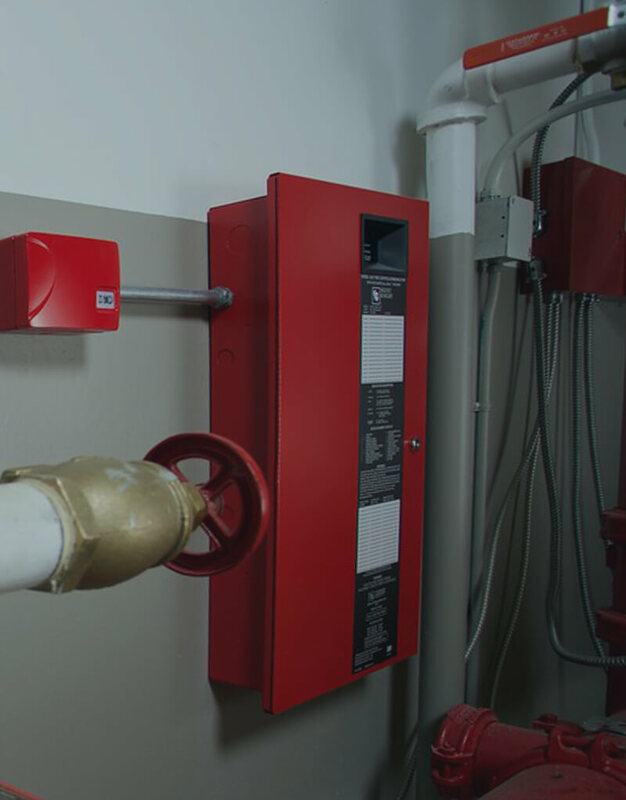 A properly functioning fire alarm system that is monitored by a central station can dramatically reduce the amount of time until a fire is reported, especially while the facility is closed. The protection of life and property is PLE Security’s number one consideration while designing your fire alarm system. There is no room for error when installing these life protection systems. PLE maintains compliance with local fire codes as well as NFPA standards for fire alarm installations. We will work directly with your local fire and building departments as well as insurance carriers to ensure that your fire alarm is up-to-date with all specifications and ordinances. PLE technicians receive ongoing training in order to stay current with changing technology and changes to fire code. Alarm system monitoring is critical in ensuring that the proper emergency responders are quickly dispatched in the event of a burglary, fire, or medical emergency. The monitoring station utilizes a triple redundancy generator system, meaning that even their backup generators have backup generators. The monitoring station’s operators who receive the alarm signal are highly trained to efficiently handle and respond to the various types of alarm signals that they may receive. PLE’s commercial customers now enjoy even more control their alarm system monitoring than ever before. Mysecurityaccount.com allows our clients to access and edit, via the internet, their alarm accounts call lists; temporarily place their systems on test, and view their alarm system’s signal history. This service is available to all of our clients at no additional charge. As part of our standard service, PLE programs all standard phone line monitored systems with a weekly test timer. This ensures that our customers’ alarm systems are communicating effectively with the monitoring station. Cellular and Internet systems are programmed with a daily test timer. The test timer is provided free of charge with a monitoring agreement. If your alarm system misses the daily or monthly check-in, the monitoring station can be instructed to notify you or PLE’s technical group. At PLE, we offer many different contract and pricing options to include month-to-month contract options; contracts that can be canceled with just 30 days notice and without any cancellation or early termination fees. Keeping unauthorized individuals out of a facility is a key component of an effective security system. Ideally, exterior doors at your facility should remain locked at all times and all visitors directed to enter through a single central access point. Intercom systems include many features and are a great way to screen visitors before allowing them to actually enter your facility. The intercom system consists of two main components; the master station and the door station. Door stations are installed at the entry point(s) that visitors use to gain access to the facility. This unit is typically mounted in a convenient location next to the door. The visitor will then press the “call” button that will audibly alert those seated near one of the master stations that someone is requesting entry. The master station is typically installed at a receptionist’s desk or other areas where the staff is present. Once the master station user answers the incoming call, audio communication is established and the visitor can be screened. If the user wants to allow the visitor entry into the facility, the door release button can be pressed and the door will be released. There are three main types of intercom systems: audio only, audio/video, and combination systems. Audio only systems are capable of voice communication only. They are typically used in applications where the master station user is in a direct line of sight with the door that is being secured. Audio/video systems include both audio and video communications. When a call is initiated from the door station, the master station includes both a microphone for audio communication and a video screen that shows the live video at the door station. These systems are typically deployed in areas where direct line of sight to the door is not available. Combination systems contain multiple doors that require a mix of both audio-only and audio/video door stations.